Quick hello to the piano. 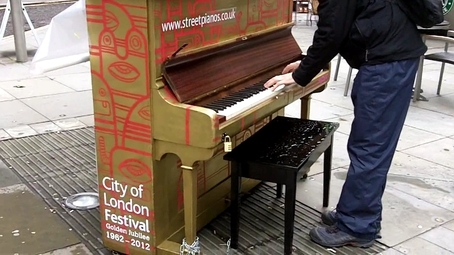 Hopefully it will be still there (playable) when we visit London next time. 24th june, a wet start.